Take a survey, win a pro account for Flickr. A Basement of Broken Dreams – An album by John Holowach, hosted on archive.org. I used his song called My Piano Sings (Part 3). Egad! How the heck did I make 10th place in Podcast Alley’s education section? I mean, I appreciate it and all, but how did that happen? To those of you who are listening / reading this, some comments on why you keep coming back would be greatly appreciated. I think the biggest hurdle we must overcome if we want teachers to catch on to podcasts is the fact that it’s still a little too technical. If we try to throw everything we know at someone all at once they won’t get any of it. People digest things better with small bites. Teachers need to stop lecturing and start performing. Walk around the classroom, tell jokes, make silly voices, and so on. It may sound goofy, but if get your students’ attention then they’re more likely to learn. BlogMeister – a blogging engine for teachers and students created by David Warlick. I highly recommend that you also check out his other sites, including his blog and his podcasts. CafePress.com – they make stuff with your designs. You can use it just for fun, or perhaps for a fundraiser. I already have two three designs up, if you care to look at them:Podcasts in Education: Share the Kool-Aid, Ask me about my podcast, and My mp3s are legal. Podcast Alley: Education Podcasts – C’mon, you know you want to vote for me … right? Eleventh place is the 10th looser, but only if it’s a contest. Positive mental attitudes are contagious, as are negative ones. Which type are you spreading? CafePress.com – they make stuff with your designs. You can use it just for fun, or perhaps for a fundraiser. Using email to achieve a paperless system only works if your emails aren’t blocked by another teacher’s spam filter. When podvangelizing, it’s best to break it down and keep it simple. (Does that mean you share Kool-Aid that’s been watered down?) Also, you can leave printouts from various podvangelizing websites in strategic locations (like the teacher’s lounge). On a spur of the moment I decided to make some podvangelism banners. Feel free to move these to your own server and use them. David Warlick – This wonder of the educational corner of the internet has many pages, including his blog and his podcasts. Teach42.com: The web site of Steve Dembo – the man, the myth, and my inspiration for podcasting. Here we are on cloud nine, even if it does get a little staticy at the end. Having teachers email me their paperwork works nicer than having them hand me paper, and I get the same participation rate. When installing RAM, make sure you do it right the first time. Also, when you don’t have a deadline and a project begins to annoy you, just walk away for a while. Intaglio and Mezzotint Etchings – The website of a Resident Printmaker and instructor at the Montpelier Cultural Arts Center in Laurel, Maryland. This episode, expect to hear me talking about teachers helping students with their artwork and my “Do it first, then learn about it” philosophy that I sometimes use. 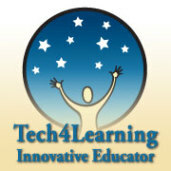 teach42 – the official education site of Steve Dembo. Archive.org – All kinds of media with all kinds of licenses. You can upload things as well. Students like being on both sides of the camera – it can spice up almost any lesson. Students who teach more learn more, so put them in teaching situations. Yeah, I should probably post some non-audio stuff soon for those of you who don’t like podcasts. 4th Podcast – steps forward and back. I always wanted to go fourth. Art Teachers are (technology) people, too. Look, I CAN be tech support! Is Ourmedia.org all it’s cracked up to be? How many times can I say .com when I meant to say .org?